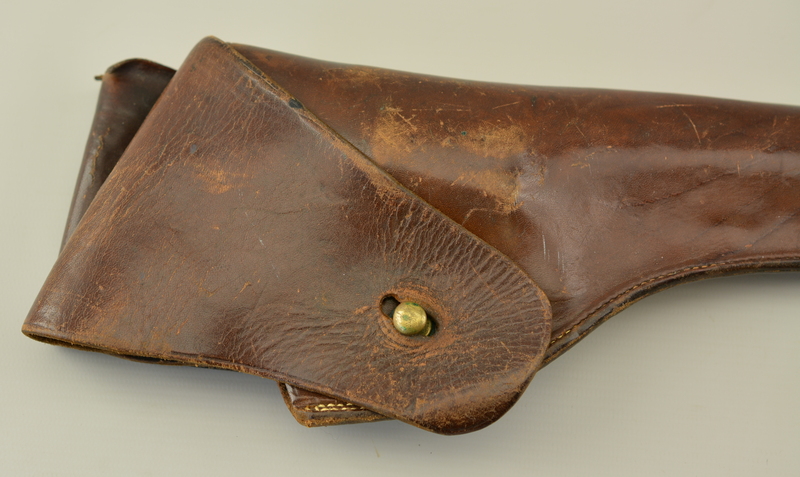 Description: Commerical WW1 Holster built for a 6" Smith & Wesson K frame or the equivalent colt official police revolver. 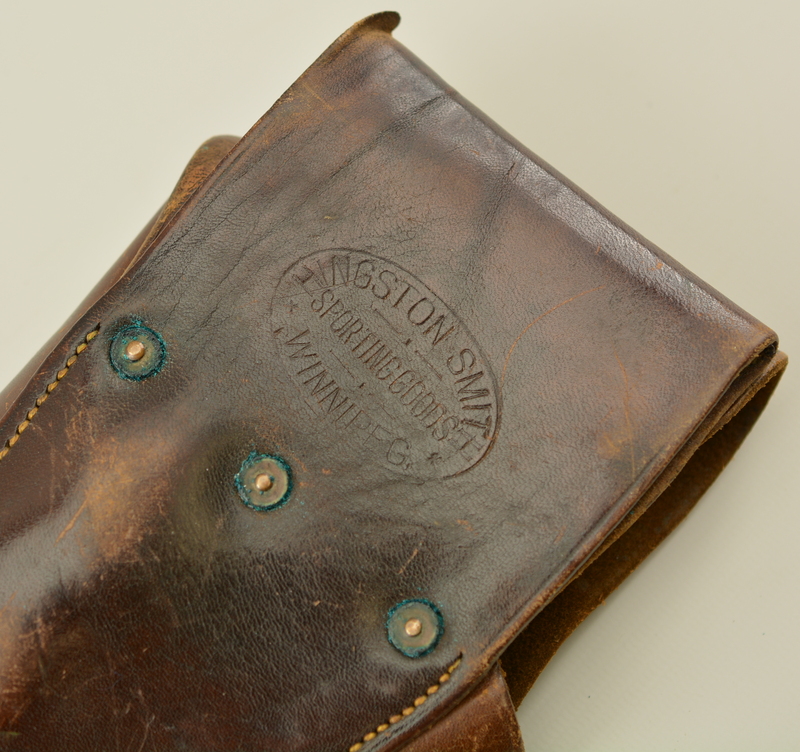 This holster remains in excellent condition and is dealer marked on the reverse Hingston Smith sporting goods Winnipeg Canada. 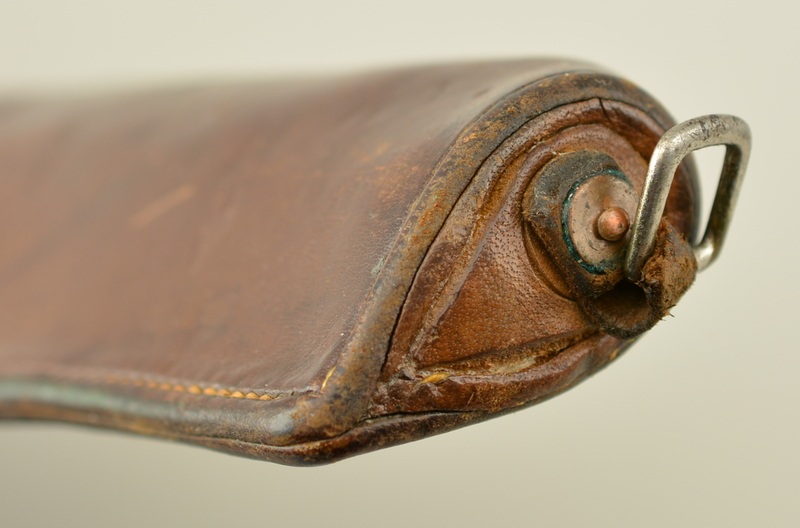 This Co was in business during WW1. 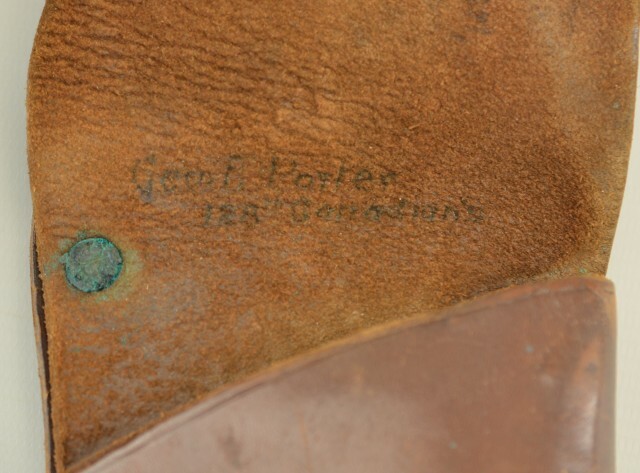 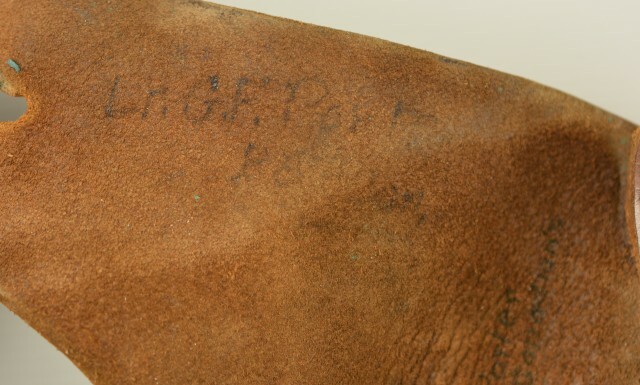 The reverse of the flap is pen marked with a name George F. Porter. We suspect that he may have been a Canadain Military Officer but can not substantiate the same. 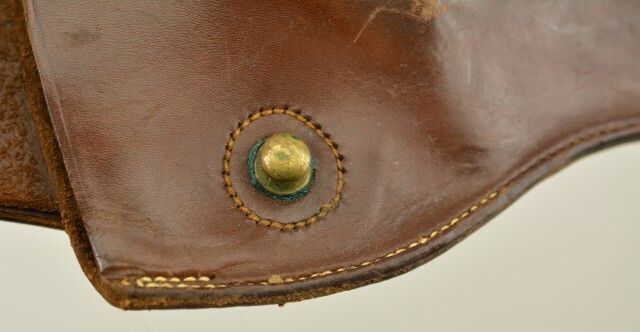 Also note tht there was a later tie-down loop added to the button.